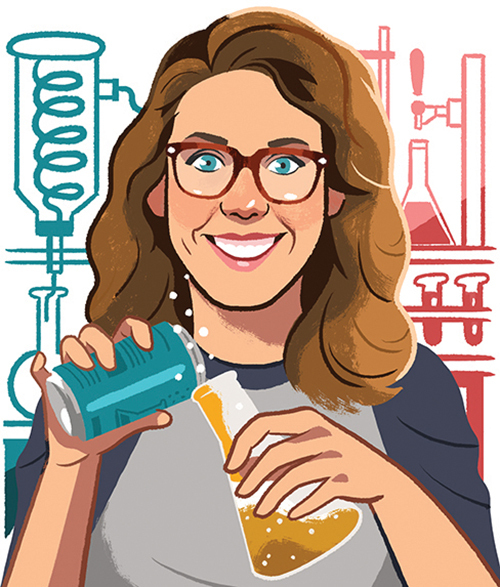 → Ellen Lehman, Quality Lab Manager at MadTree Brewing, is using a biology degree to make sure that the beer we drink is of the highest quality. What does a Quality Lab Manager do? Maintain the lab and make sure that we are on schedule. Recently, I started taking on internal sensory training, so I train our employees [in] sensing off flavors in the beer, so we can go back and fix it. How did you get your start with MadTree? My husband was doing some contract work with the brewery and they mentioned that they were trying to build their lab. 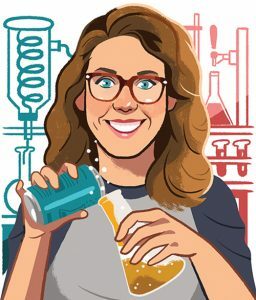 I worked at Children’s [Hospital] before, so I had no background in beer, but it was one of those things that you learn as you work with it, and it has been amazing. Can you explain more about your position within the Lab? The recipes are built by production mangers and lead brewers, then we, the lab, tweak the recipes using our science background. We make sure the recipes are sound and the processes are sound so that we can come out with a great tasting beer. How will craft beer continue to be successful? MadTree is all about community and supporting where we are from. Most of the craft breweries are based in neighborhoods, and they take pride in their neighborhoods. I think the ones that have produced quality beer and are passionate about the community are the ones that are going to last.